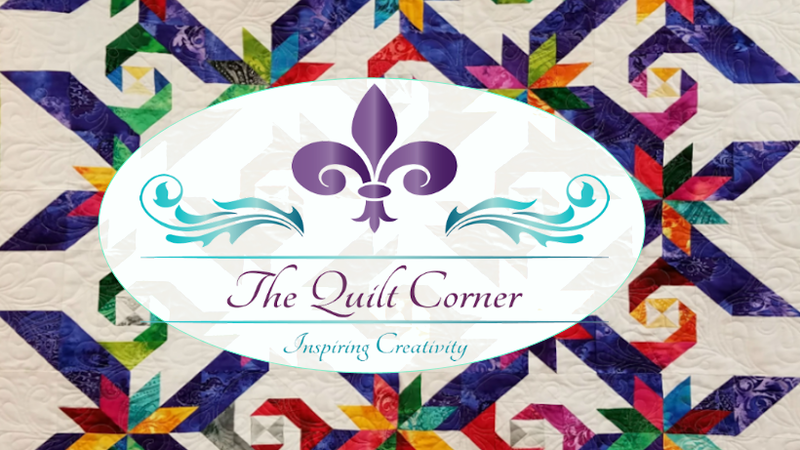 Well, if you follow this blog you know now that it has been a very long while since I've posted an update....life took a right turn & has had me moving full steam ahead, with little time to do things like update blogs - but, it looks like life will now resume its more sedate pace, for which this quilter is thankful! Will all that said, I've still been very busy in the quilting room! My studio is all but finished - pictures will be forthcoming and my new HandiQuilter Avante is all setup... Here's some of what I've worked on in the past few months . . . This is an original creation that I had an idea for and just absolutely love! The colors are so cheerful & bright. this now graces my kitchen table and I tell you, it makes me smile every morning. The corner blocks are part of "Margaret's Insanity." Yes, I really went insane when I chose this design. I wanted to practice template work... well, with 54 pieces in each 9" block - I think I got my practice in!! Here's an up close of the quilting on the sunflowers & the rooster. Loved quilting the roosters tail!! Here's a Quilt of Valor that I finished. I loved doing this because it was made by two girl scout troops. Being a former girl scout myself it was very special for me to be privileged to quilt this! Didn't the girls do a great job with the piecing? Over the past few months I've spent quite a bit of time taking care of these two precious babies. Tommy on the left & Mike on the right. They're about 9 months in this photo... we have so much fun together. My great-nephews are truly miracle boys! Life is sweet! I enjoyed quilting this one for a customer. This is her second quilt & she did a fabulous job piecing it. Here's a memory quilt that I made for a customer. I just absolutely love the way it turned out. It was for her son's graduation gift. Is this special or what? I truly enjoy making this type quilt. Super fun!! I had the opportunity to take a piecing class from DeLoa Jones. This is her original pattern called "Rose Log Cabin." It still needs a couple of borders, but is lovely just as it is. I never realized that a day at a class could be like a mini-retreat! Especially when you're doing something you love & surrounded by folks who share your passion. Such a total blessing.